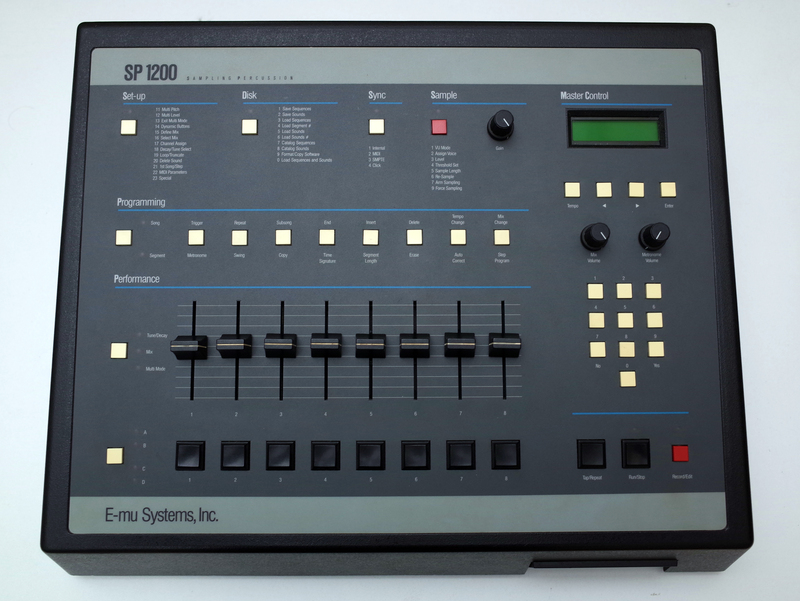 SP-1200, Drum Machine from E-MU. 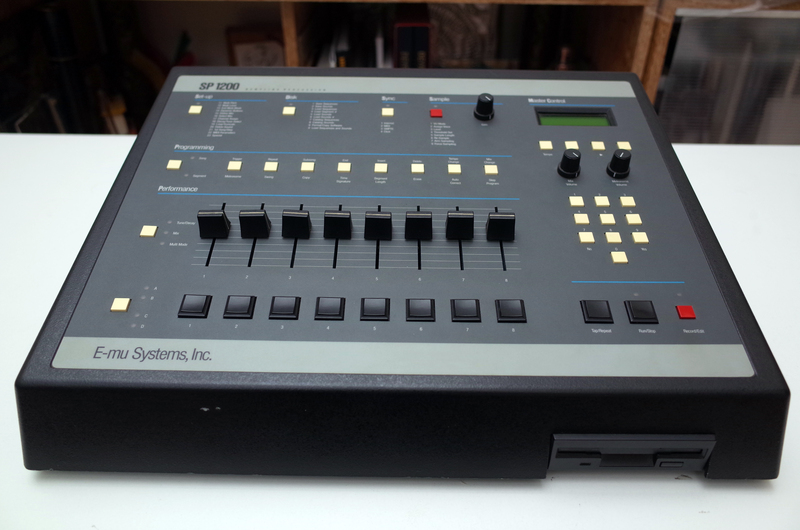 djqbert's review"My Long Time Friend "
My first drum machine I learned on! It's so user friendly with all the instructions written on the faceplate! The shape and vibe that comes off this thing is like it's saying, "Feed me samples... let's make a beat today!" Sampling drums into here accompanied by an 8 channel mixer with eqs, makes this your best friend! 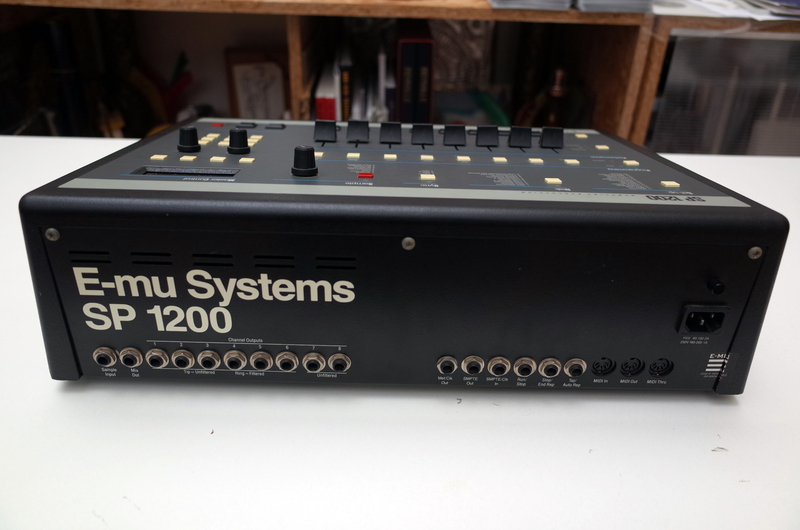 There's limited sampling time, which makes for an amazing sounding texture... just put a drum loop from the turntable on 45 speed, sample, then pitch the sound down to a normal speed, and you get it back with the magic only an sp1200 can provide! I really love this machine. 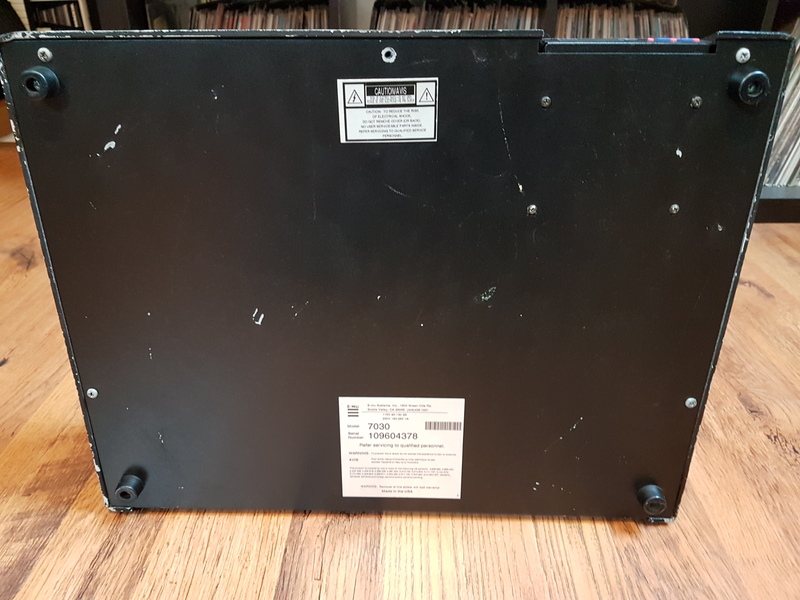 its the only sampler ive ever owned so its all i know. its very easy to use and the sound is incredible. you can just about sample anything and make it sound good with the multi level functions. i gave it an 8 out of 10 because i really wish it had a cutoff filter. i know its only supposed to be for percussion but i dont think itd been to difficult to throw a cutoff filter on there, especially because snare drums dont need all that low end. other then that its a great machine and id recommend anybody who takes percussion seriously to add this to your setup. Very easy to use. hit a couple of buttons and you have a nice drum pattern. sometimes it has a problem reading a disk, but it always eventually reads it. i prolly just need to get it professionally cleaned so i cant fault it. Man, this is my baby. i love knowing that i actually have one given they're somewhat more dificult to aquire one nowadays. i had to get the pads redone once but what do you expect from bangin' on it all day. The sound quality is the weakness as it's only 8 bit. It's rediculous the sp rules. 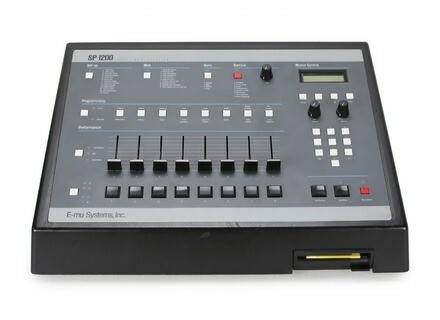 once you get used to the low sampling time you become very attached to the sp. used to sleep together but she sent me to the sofa..she's been with many other men as well, still... LOVE AT ITS FINEST.